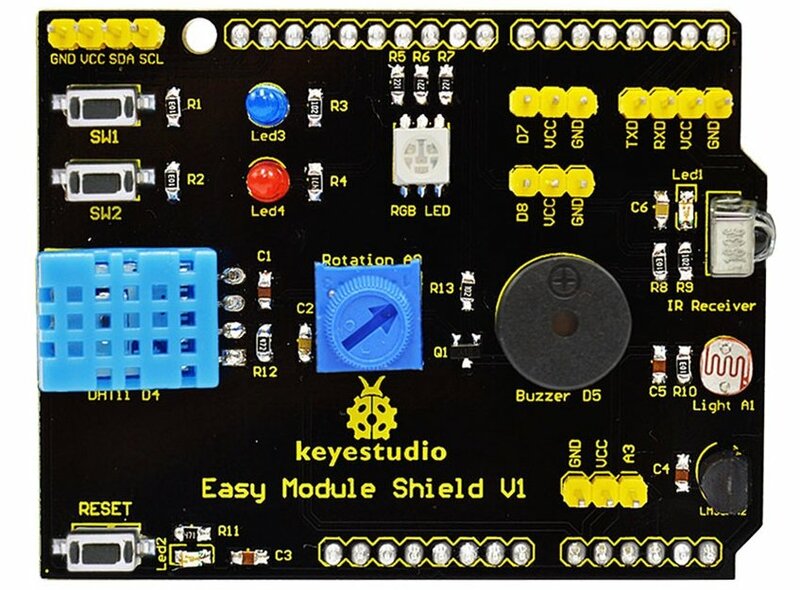 In our previous look at the Easy Module Shield v1 – Arduino Easy Module Shield v1. We took a look at the shield and had a simple example looking at the LDR and the pot. In this example we will show examples for the LM35 and the DHT11. In both examples we will output via the serial monitor but we will also switch an LED on if the temperature rises above a certain value. #define DHTPIN 4 // Pin which is connected to the DHT sensor.